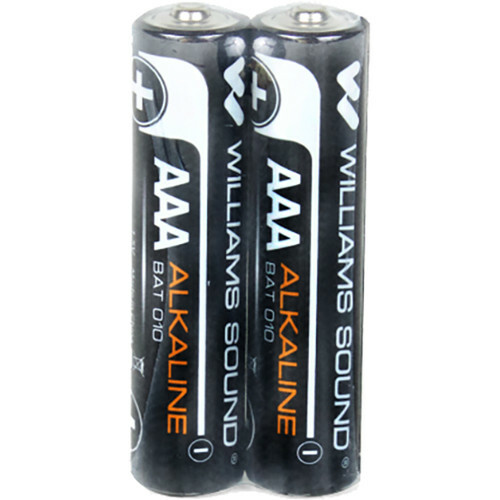 Williams Sound 2 - 1.5-Volt AAA (Triple A) Alkaline Batteries. How many batteries come in the package? 2 - 1.5-Volt AAA (Triple A) Alkaline Batteries.